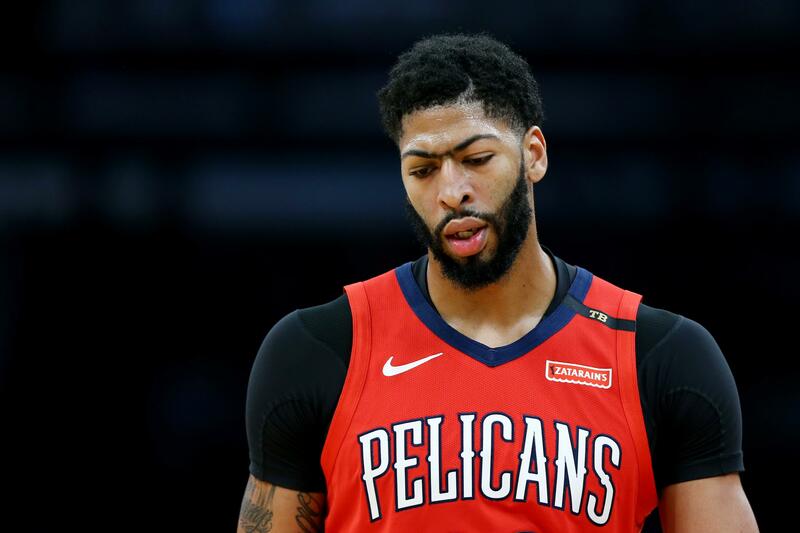 When the New Orleans Pelicans decided to keep Anthony Davis at the 2019 NBA trade deadline, it raised questions regarding how the superstar might be used for the remainder of the season. The organization will try to deal their best player in the offseason, and putting him back on the court would introduce the risk of lessening what the Pelicans will get in return for one of the league’s top superstars. The Los Angeles Lakers and Boston Celtics are expected to make New Orleans competitive offers for Davis this summer. Other teams like the New York Knicks could very well enter the conversation. Those trade packages won’t be the same if Davis suffers a serious injury that would affect his 2019-2020 campaign. While that possibility might be unlikely, it certainly exists. Davis was playing alongside DeMarcus Cousins a season ago when the free-agent-to-be ruptured his Achilles, forcing him to miss out on a max contract and miss nearly a year of action. Washington Wizards’ guard John Wall just recently suffered the same injury while recovering from another ailment, and he’s expected to be out for 12 months. The Pelicans won’t keep Davis off the court, as some had speculated. New Orleans will monitor the big man’s minutes and do their best to make sure he stays healthy. According to ESPN’s Adrian Wojnarowski, Davis will play fewer back-to-backs, and there’s a chance he won’t play a game on consecutive nights at all for the rest of the season. He’s currently averaging a career-high 37 minutes per game, and that number will drop. “A number of factors contributed to this decision. Ultimately, Anthony made it clear to us that he wants to play, and he gives our team the best opportunity to win games,” general manager Dell Demps said in a statement Thursday night, via ESPN.com. Davis hasn’t played since Jan. 18 after suffering an injury to his finger. He was reportedly cleared to return Monday, but New Orleans kept him off the court for two more games as the team fielded trade offers. Calling Davis injury-prone might not be accurate, but he hasn't exactly been the healthiest player since entering the NBA in 2012. The 25-year-old played between 61 and 68 games in each of his first four seasons. He set a career high the following two seasons by playing in 75 games each year. Before being held out this week, Davis played in 41 of the team’s previous 53 games. He’s averaging 29.3 points and 13.3 rebounds per game, making him the only NBA player that ranks in the top-four in both categories. New Orleans is 24-31 after the trade deadline. They are the No.13 seed in the Western Conference and 5.5 games out of the playoffs.